On Wednesday 25th May, cello players, guitarists, Zoe -our youngest french horn player, year 4,5 and 6 violin and viola players and our extensive orchestra took part in our annual Instrumental Summer concert and performed to a large audience. It was a fantastic evening, everybody performed confidently and we were very impressed with the high standards of performance. Our families were a very appreciative audience and we enjoyed performing to them. We were very lucky to have a special guest performance from Joss Brookes, a cellist, who used to be a pupil at Chilcote and who now works for the CBSO. He played beautifully and was a real inspiration to all of our young players. Thank you to our families for their support over the year and to Mr Chamberlain our guitar teacher, Mr Fisher our brass teacher, Miss Carey our cello teacher and Mrs Brookes our violin and viola teacher and conductor of our orchestra. On Monday 23rd May, Junior choir, Infant choir, dhol drummers, brass players, recorder players and Year 2 and 3 violin and viola players took part in our annual Choral Summer concert and performed to an audience of over 230 people. Everybody performed very well and it was a pleasure to see how much progress each group had made during this year. Thank you to our families for their support over the year and to Mr Singh our dhol drums teacher, Mr Fisherour brass teacher and Mrs Brookes our violin and viola teacher. On Thursday 26th May eight children in year 4 represented Chilcote at a Super 4 Athletics tournament. The tournament took place at Kings Norton Girls' School. A total of fourteen teams took part in the tournament. Each child had to throw a javelin, run 400m, sprint 50m and do a standing long jump. Their best distances and times were taken, then they were awarded points based on the distance/time they got. all of the points for each team was added together to give a team total. As you can see, Chilcote finished in 8th place overall but were very close to the schools just ahead of them. Well done to all of the children who took part in the event, they represented the school really well!!! 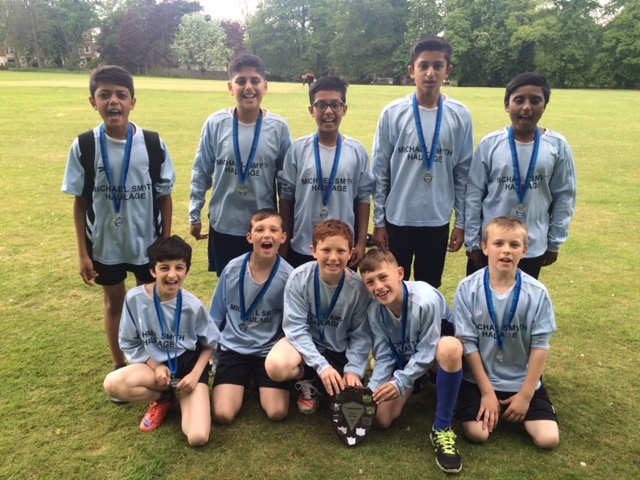 On Tuesday 24th May eight year 6 children and two year 5 children represented the school in a cricket tournament held at Moseley Ashfield Cricket Ground. There were a total of five teams in the tournament. Chilcote started off with a game against Yardley Wood B. Chilcote bowled first and restricted Yardley Wood to 171 runs. Then, Chilcote batted and really settled into their rhythm and scored an impressive 280 runs including numerous 6's. Next, Chilcote played against Bells Farm School. Chilcote batted first in this game and scored a total of 237 runs giving away a few sloppy wickets. However, they more than made up for it with their bowling and fielding which was tremendous. They kept Bells Farm's score down to 194. Finally, in the final Chilcote played against Yardley Wood A and bowled/fielded first. They were incredible and managed to keep Yardley Wood's score down to 185. Chilcote then batted and were on 210 runs when the game had to be abandoned. Chilcote were on their way to victory and thus won the tournament. Well done to all those involved as they represented the school really well! 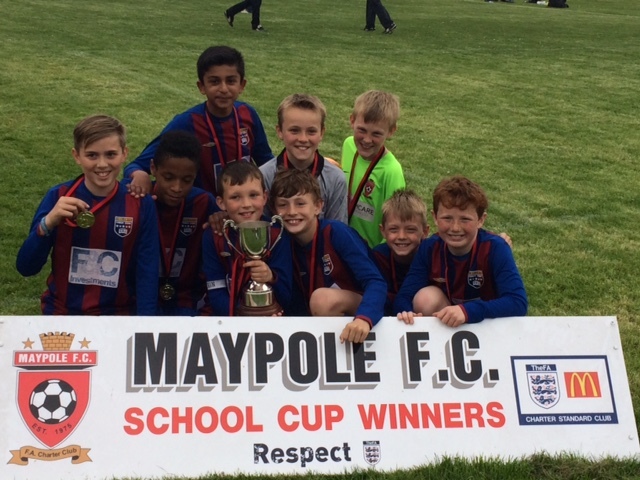 On Friday 20th May the Chilcote boys' football team entered the Maypole School's Tournament. The tournament took place at Maypole FC's ground. A total of seven teams entered the tournament: Chilcote, Colmore, Hollywood, Yardley Wood, Peterbrook, Dickens Heath and Broadmeadow. The tournament was played as a round-robin meaning all the schools played each other once, then there was a final between the top two schools. Chilcote started against Dickens Heath and got a 1v0 win courtesy of an early goal and a great defensive display. Next, they played Hollywood and again won 1v0 in a very even game of few chances. After that, the boys played against broadmeadow and took the lead after a lovely team move. They then conceded their first goal of the night before snatching a late winner to beat Broadmeadow 2v1. Then, Chilcote played against Peterbrook, who had got some good early results, and beat them 1v0 in a very good game. So after four wins in a row the boys were in pole position to qualify for the final and needed a point from their remaining two games to guarantee a place in the final which they got in their next game against Colmore with a 1v1 draw in another very even game. Finally, Chilcote played against Yardley Wood and conceded an early penalty, which Yardley Wood duly scored. Despite having a couple of very good chances, and hitting the bar, Chilcote went on to lose 1v0, but it didn't matter as they had already qualified for the final. In the final Chilcote had to play against Peterbrook. The game was very close and both teams had a few half chances. The game looked destined for penalties as both teams were tired after their excursions in the round-robin, but with about three minutes remaining Chilcote got a corner and Dawud, up from the back, smashed the ball home to make it 1v0 to Chilcote. This is how it stayed despite late pressure from Peterbrook who just couldn't find a way past Chilcote's awesome defence. Well done to all of the boys, a massive achievement and something they should all be very proud of!!! On Wednesday 18th May we had our second class trip to the garden. It was a little bit soggy but we still had lots of fun! It was really interesting to see how the garden had changed from our last trip in the Autumn term. We found some rhubarb and radishes that we have given to the kitchen for our lunches! What a busy half term Nursery has had. First we waved our butterflies off and set them free in the school garden. Some of the butterflies liked us that much that they didn’t want to leave the net. We looked after them by giving them fruit to feed from and we were very gentle when we watched them change into their chrysalis and then transform into butterflies. We hope that they all flew onto a leaf and laid eggs of their own. Next we had our inspire work shop. Thank you to the Nursery parents who joined us for our Inspire workshop. It was great to show you our Nursery routines that we do every day and to look at some maths activities that we do to learn all about number. We found out that numbers are very helpful! We celebrated Nigel's birthday and put the right number of candles on the cakes, as well as making Nigel's magic watch and finding our numbers to 10 outside. Then it was the Nursery trip to Ashend House Farm. Nursery had a lovely day at the farm. We had a fantastic time feeding the animals and learning about where they live and what they eat. We fed a goat, bottle fed a lamb very quickly and even got to hold a chick. Some of us balanced him on our arm! Thank you to all our parent helpers who came with us to the farm. Finally, we had a visit from the Animal Man. We had a super visit from Mo, otherwise known as 'The animal man'! We learnt lots about the different animals he had brought along for us to meet. Lots of us were brave and had a go at touching or holding the animals!